The Phillies, still at least a year away (and likely two) from starting to again make any real noise, aren’t expected to chase any of the top free agents this winter. This year, Andy MacPhail’s most important hire will work directly under him in the team’s front office. When MacPhail made the decision to part ways with Ruben Amaro, Jr., he expressed a desire to fill the vacant general manager spot by the start of organizational meetings at the end of this month (although he described the target date as “ambitious”). A few weeks later, the club’s new president said that he expected the process to pick up right after the season ended. That means now. Unless they are former players or coaches, general managers generally don’t enter our collective conscious until they are hired for the first time. Think about how many words have been spilled about Sam Hinkie over the last two years. Before that, he was just a guy who worked for the Houston Rockets. Here in Philly, almost everyone had no idea who he was. I know that I didn’t. • Reported by pretty much everyone in the know as a leading candidate, Klentak has major ties to MacPhail. Less than a year after the Phillies’ new boss took over in Baltimore back in 2007, he hired Klentak out of the MLB Labor Relations Department. • From the Baltimore Sun, November 2011: Klentak was hired by club president Andy MacPhail in March 2008 to be his top assistant and he primarily handled contracts, rule interpretations and arbitration cases. He was thought to be a potential heir apparent to MacPhail, but was not interviewed this offseason when the position became available. 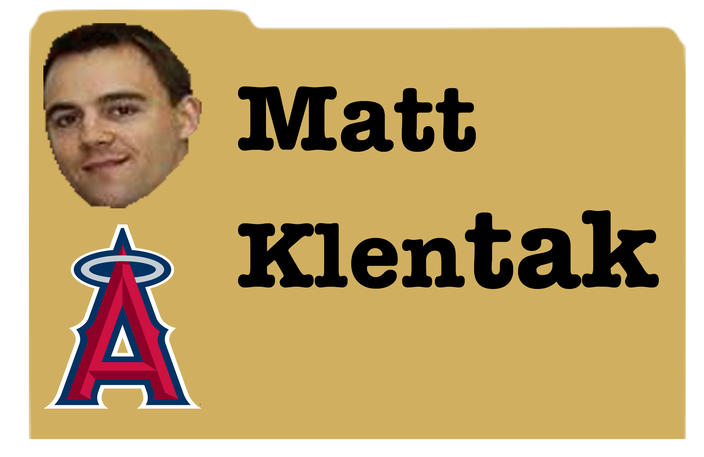 • Once Klentak didn’t get the Orioles’ GM job after MacPhail left in 2011, he went to the West Coast to work with the Angels and Jerry Dipoto. An economics major at Dartmouth, it seems like his forte comes on the contract side of baseball operations. For example, he was responsible for the tricky details (not the offer) of Albert Pujols’ massive 10-year deal. In college, Klentak was a three-year starter at shortstop and team captain his senior year. • His role with the Angels is up in the air after losing out on the job to Billy Eppler, who he did cross paths with in Colorado over a decade ago. If Klentak gets the Phillies job, this may prove a blessing in disguise: Anaheim is “the last manager-centric organization in baseball,” and you simply don’t get in Mike Scioscia's way out there. Even in Orange County, you don’t mess with Delco. Just ask Dipoto, who at least landed on his feet in Seattle.